Get enough rest – go to sleep a little earlier or sleep in a little bit later. Your body needs rest to stave off illness. 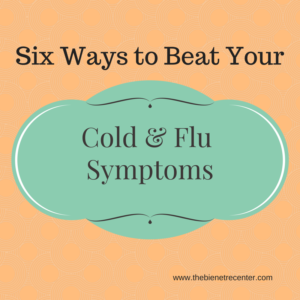 If you feel yourself catching a cold, be sure to get extra rest so your body can recover. It can be tempting to “push through it,” but you’ll only make it worse. Healthy foods – be sure you are eating a variety of colorful foods so you can benefit from nature’s vitamins and natural health benefits. Wash your hands frequently – don’t let germs and viruses stick around! Wash your hands regularly and remind your children to do the same. Exercise – keep your immune system engaged and healthy by getting regular exercise. In this article, Dr. Burns shares her secret for staying healthy during the winter months. Finding Gratitude Helps with Medical Health.